This cat is probably cooler than you. With over 70,000 followers on Instagram, Dog the Sales Cat is super famous and frankly, he is just too adorable! 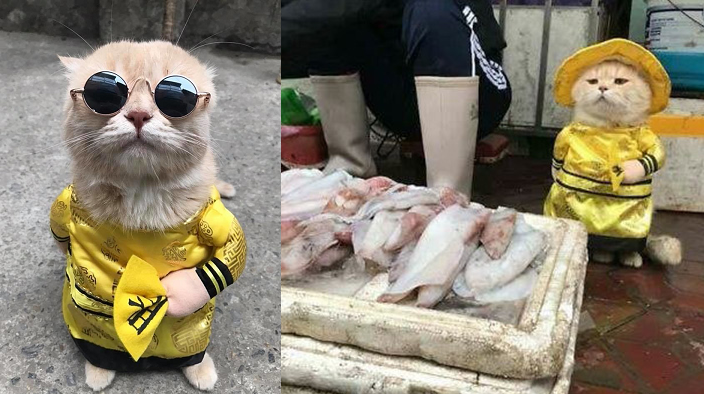 Little Dog is a Scottish Fold cat who began “working” at this fish market and quickly gained internet fame. The 3-year-old cat started wearing outfits to attract a crowd, and while he loves all of the attention, he still manages to always seem a tad bit grumpy about it! Everyone who visits the Hai Phong market in Vietnam knows who Dog is. The friendly little cat loves to post for pictures and watch the crowds pass by with his signature frown! Dog received his name because of one quirky trait! When his human first met him, Dog was panting…much like a dog! The nickname stuck around, and now, he’s an international star! He takes his role very seriously! Dog stands guard over the fish being sold…and occasionally checks the samples to make sure that they are edible! He wouldn’t want his human to sell fish that weren’t good! 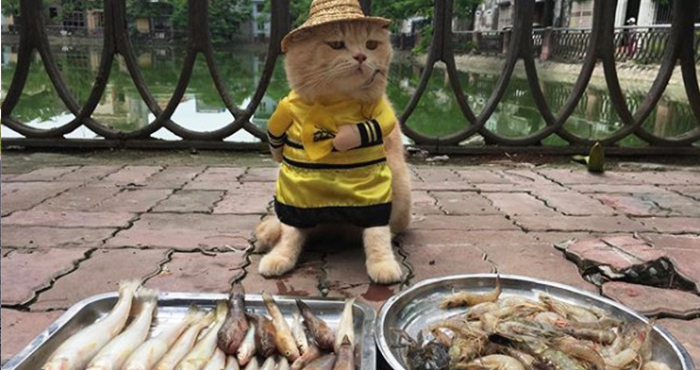 This little market cat is stealing hearts and selling fish with his charming little scowl, and people just can’t get enough of him!